If you have been using an over-the-counter cough medicine for prolonged periods of time, taking higher doses than intended, or taking it for reasons other than cough relief, then you may be addicted to dextromethorphan (DXM). A helpful way to treat this addiction is to receive treatment at a dextromethorphan recovery center. Many people have difficulty choosing the right addiction recovery program because an addict’s life is at stake and no one wants him or her to continue use. If the treatment isn’t successful, then the person who chooses that facility may feel like it was his or her fault for not choosing the right one. With a little research, you will be armed with everything you need to know about finding the best residential dextromethorphan rehabilitation facility. Call us at 1-888-319-2606 Who Answers? , and we can help you or your loved one get into a treatment program quickly. According to the Journal of the American Board of Family Medicine, the effects of dextromethorphan abuse can range from a mild stimulant effect with distorted visual perceptions to a sense of complete dissociation from one’s body. Fast, uncontrollable movements of the eyes. A false-positive urine test for PCP. Deal with withdrawal symptoms during detoxification. Help the addict learn why he or she turned to drugs. Find alternative ways to cope with issues and problems in his or her life. Help the addict learn the triggers that make him or her want to use drugs. Help the person learn the relapse prevention skills needed to go back into society as a drug-free and productive person. The key is to find the type of treatment and services that will work best for you. It is important to take some time to think about the type of environment that will help you achieve success. Do you think you’d have a better chance at success by recovering in a community-based recovery program near the beach, or do you want to have a more meditative experience at a holistic facility in the desert? There are many different types of treatment centers. Even in any specific center, the treatment process is different from one person to another because each person responds to treatment differently. The key is to find the type of treatment and services that will work best for you. Once you’ve decided on the general type of treatment you prefer for yourself or your loved one, it’s time to take action to find the specific residential dextromethorphan recovery center for your situation. The first thing you want to think about is cost. What is your budget? The price of a dextromethorphan treatment program will vary greatly, depending on the type of facility and services offered. Medical insurance companies will sometimes pay for all or most of the cost of rehab services. Check with your insurance company to see what your coverage is. Find a rehabilitation facility that offers various types of therapy. Look for a rehab center that offers individual and group therapy and counseling services, 12-step programs, holistic programs, and other types of activities that you enjoy partaking in when not in therapy sessions. Think about your aftercare when considering dextromethorphan addiction treatment centers. You want to enroll in a treatment program that provides aftercare services like check-ins and ongoing outpatient therapy after you’ve returned home. This should be part of the total price of treatment. If a facility does not offer this, you may want to check it off your list. If possible, visit each dextromethorphan rehab and recovery center and see how it is in person. Use your intuition to guide you and pay attention to your comfort level while you are there. If it’s not possible for you to physically visit the center, take a good look around its website and talk to a representative on the phone. the Journal of the American Board of Family Medicine, chronic addiction to or abuse of non-prescription substances is difficult to diagnose and is easily missed by medical professionals. 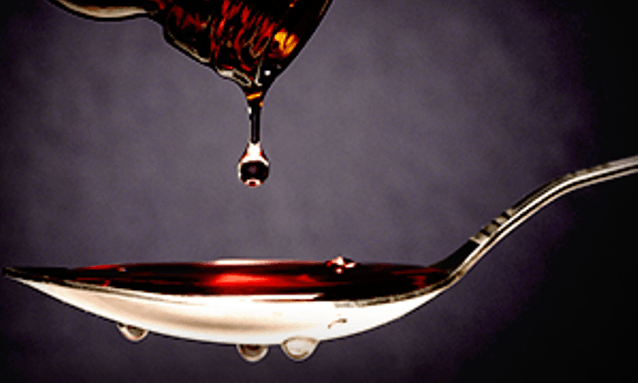 If you suspect that you or someone you know is addicted to cough medicine, or dextromethorphan, call us right away at 1-888-319-2606 Who Answers? . We can help you find the best residential dextromethorphan recovery center so you can get the help you need.